Eight Sleep was one of the first to bring high-tech to sleep. Here, they pair their Sleep Tracker with the Mars+ hybrid mattress. Note: Eight Sleep developed its Sleep Tracker technology before it began making mattresses. The Sleep Tracker -- a high-tech mattress cover -- pairs with sensors and an app -- was a Kickstarter success story. We have reviewed two of Eight Sleep's mattress+sleep tracking systems. Here we test the Mars+ hybrid mattress; also see our review of the Jupiter+ foam bed. The two have more similarities than differences. If you’d prefer to watch rather than read, check out our full Eight Jupiter+ and Mars+ mattress video review. GoodBed's Take – Who is the Best Match for an Eight Sleep Mars+ Mattress? The Eight Sleep Mars+ mattress is a hybrid bed, made with layers of foam and synthetic latex over a support unit of pocketed coils. It's a construction that's fairly easy to find these days. But the Mars+ mattress is just the beginning: it's paired with Eight Sleep's Sleep Tracker, which slips on to the mattress in the same way you might put on a mattress protector. The sleep tracker was featured in a very successful Kickstarter campaign, and was developed in advance of the Mars+ mattress. The sleep tracker pairs with an app, which you can use to view data, monitor heart rate and nighttime breathing, and even control temperature -- you can use the sleep tracker as a heat blanket to warm up your mattress. The Mars+Sleep Tracker system sells for $1,399 in queen size; the tracker itself sells separately for $399, so the mattress's price is competitive with other latex and coil beds. So if you're interested in tracking your sleep patterns for health reasons, to improve athletic performance, or just for the sake of curiosity, the Eight Sleep Mars+ is a good value. We put the Mars+ mattress through our standard battery of sleep and comfort tests. We found the Eight Sleep bed to be well suited for our tester in the three major sleeping positions, offering good support for back, stomach, and side sleeping. Since the Mars+ has a pocketed coil support system, it has some bounce; that can sometimes affect motion isolation, but here the pocketed coils are well isolated and function independently -- practically speaking, that means we noted very little motion transfer from one side of the bed to the other. Other highlights in our testing were good edge support and excellent ease of movement. But the real story here is the mattress/sleep tracker combo. If you aren't particularly interested in analyzing your sleep data, then a number of other hybrid mattress compete directly with the Eight Sleep Mars bed on both materials and price. But as a sleep system, the Mars+ competes mainly with it's sister mattress, the Jupiter+ all-foam bed, which is less expensive. Read on for our detailed report and be sure to check out the video to see this mattress in action as we put it through our tests. You can always visit the company's website for more on the Mars mattress and the Eight Sleep tracker. The Eight Sleep Mars+ mattress features a 2" layer of synthetic latex on top. While not natural, this layer has the same pressure relieving and support qualities as natural latex. Under that is a layer of standard polyurethane foam, followed by a 4" layer of individually-pocketed coils. The lowest layer is another 2" of polyurethane foam. In addition to the mattress's layers, the bed has a perimeter of foam surrounding the pocketed coil unit as edge support. The four layers of the Eight Sleep Mars+ mattress are wrapped in a soft and stretchy cover. Note that the Sleep Tracker then goes on top of the mattress cover. The "plus" sign in "Mars+" is for the included Sleep Tracker, the big selling feature from Eight Sleep. The tracker has several components. 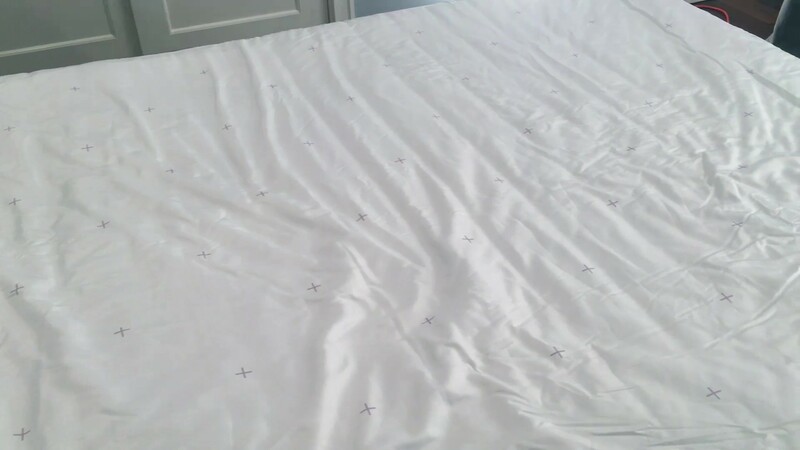 The 'receiver' that collects your data comes as a series of sensors embedded in a mattress cover that installs right on top of the Mars mattress (it goes on just like a mattress pad). You can see the wires and sensors in the cover, but our tester could not feel them at all. The top part of the cover unzips and is washable. The mattress pad/sensor plugs into a small receiver unit, which in turn connects to an app, which serves as your dashboard and main interface for the sleep data that's collected, and also serves as a controller for the Sleep Tracker. For example, you can use the tracker as a heating pad, and set the app to start warming the bed at a certain time. You can even control both sides of the bed independently. What can you track with the Sleep Tracker? It can monitor your sleep, and tell when you are sleeping soundly or fitfully. It can tell you how often you wake up, your heart rate and respiration rate. It tracks total sleep time, and knows how long it took you to fall asleep. Based on the data, the app can make recommendations to improve your sleep quality. It can connect and sync with many other applications and trackers, and can be use to program the Sleep Tracker as a heating blanket. We are mattress testers, so we did focus on the mattress in our evaluations, but you can read more about the Sleep Tracker on the Eight Sleep website. The Mars+ mattress has what we would term medium cushioning -- average among mattresses, but giving you a big more of a floating feeling as opposed to sinking in deeply. The Eight Sleep Mars+ mattress does not contain any memory foam, so it's no surprise we did not note any of that slow, melting into the bed sensation you get with memory foam. Rather, the bed springs back into shape very quickly. We also tested bounce; the pocketed coils in this mattress pushed our tester back into the air when he dropped his weight on the bed, so if you like a mattress with some bounce, the Mars+ has it. In our evaluations, the Eight Sleep Mars+ mattress performed well in all sleeping positions for our tester. If you sleep in a variety of positions, or your partner sleeps in different positions that you, the Mars+ might be a good choice. We tested the Mars+ hybrid mattress and the Jupiter+ all-foam bed at the same time, so our observations contrast between the two. Generally, they are more similar than different. 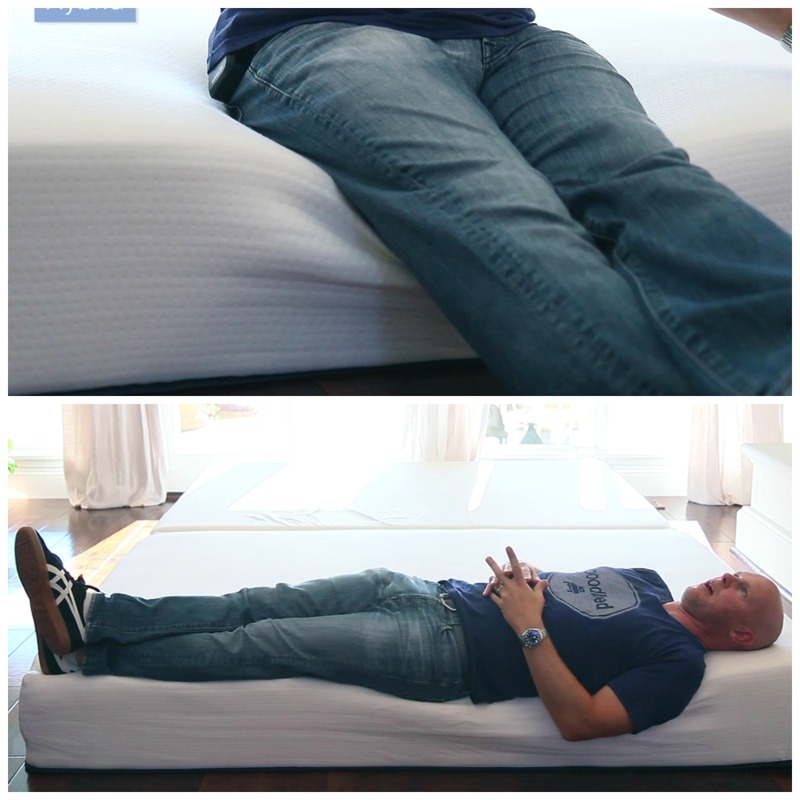 Here is how we break down the spinal alignment of the Eight Sleep Mars+ mattress. We found this to be true for both the Mars+ and the Jupiter+ mattresses, though our 200-lb. tester did have a preference for the firmer hybrid bed (the Mars+). For side sleeping, our tester also felt the Mars+ was supportive. He felt his shoulder sinking into the mattress enough to create good spinal alignment. He did feel that pressure relief was a bit better on the all-foam Jupiter+ mattress, but both mattresses performed well. If you are mainly a side sleeper, you might want to also see our review for the Eight Sleep Jupiter+ mattress. 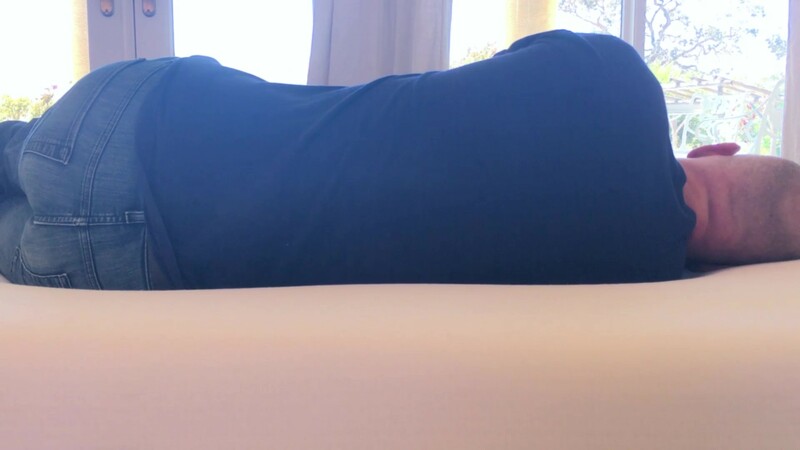 Achieving good spinal alignment for stomach sleepers can often be trickier as the hips can tend to sink down too far with some mattresses, but our tester felt well supported in this position as well. For those who sleep primarily on their stomachs, our tester preferred the Mars+ over the all-foam Jupiter+ mattress. Overall, we found the pressure relief offered by the Eight Sleep Mars+ mattress to be good, but if you have experienced joint issues in the past, or are concerned about hot spots or pressure points, especially if you are a heavier individual, see our review for the Eight Sleep Jupiter+ all-foam mattress. With a bowling pin standing upright on the Eight Sleep Mars+ bed, we tested motion isolation by dropping a 16-lb. bowling ball on it, as well as the whole weight of our 200-lb. tester. In both tests, the bowling pin wiggled a bit but never fell. That's impressive for a mattress that includes coils, but because this bed uses pocketed coils, each spring moves independently, limiting motion transfer. We felt that the Mars+ bed would be a good choice for couples who don’t want to feel their partner getting in and out of bed. For most people, we do not think the Mars+ mattress will feel hot. Because of the spring support layer, the mattress has more natural air flow than an all-foam bed, even though there's four inches of foam on top of the springs. If you have a known issue with sleeping hot, you might consider a mattress with less foam, but for most people, we do not think the Mars+ mattress will feel hot. If you like to sit on the edge of your bed, or if you tend to sleep right on the edge of your mattress, edge support will be an important preference factor for you. The Mars+ mattress does have a foam edge support all the way around the bed. When our tester sat on the edge, he sunk down quite a lot, but he didn't feel unstable. When laying on the edge, he felt himself starting to lean a bit, but again, did not feel unstable. One of the highlights of the Eight Sleep Mars+ mattress, for our tester, was ease of movement, which owing to its high responsiveness, was almost effortless. If you tend to change positions a lot, the Mars+ mattress performed extremely well in our view. In the case of Eight Sleep, the company makes no claims about the use of natural materials, and is up front that its latex foam is synthetic. All of the foams used are certified to the CertiPUR-US standard, which verifies that a material has low VOC off-gassing as well as a lack of chemicals and other substances regulated by the CPSC. We did not specifically test the Eight Sleep bed with an adjustable base. However, the company does say that it can be used on one, and it does sell an adjustable base. The Eight Sleep Mars+ is an 11-inch mattress made of layers of synthetic latex and polyurethane foam, with a support layer of pocketed coils. But the big story is the included Sleep Tracker, which transmits sleep data to an app, which serves as a dashboard and controller for the tracker. Each side of the bed can be tracked independently, and the tracker can also be used as a heated blanket. 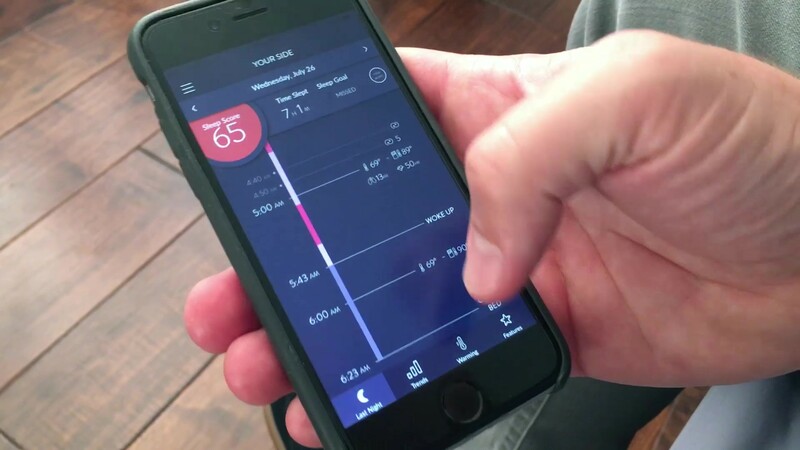 The app can be set to start warming the bed at a designated time. When it comes to estimating the comfort lifespan of a mattress, we tend to use foam density as our best, albeit imperfect, predictor of how long a foam will retain its shape and resiliency. For the Eight Sleep Mars+ mattress, the top layer of synthetic latex is of 3 lb. density. That's about average for mattresses in this price range. The other foams are 1.8 lb density, typical for support foam. Pocketed coils have a solid reputation when it comes to longevity. Overall, we don't see any obvious red blags when it comes to durability. If we consider just the Eight Sleep Mars mattress, without the sleep tracker, and subtract the $399 price of the sleep tracker from the Mars+ system, we end up with a $999 hybrid mattress. Among online mattresses, there are plenty of examples of foam-and-pocketed coil mattresses in this price range. It's less common to find a hybrid mattress with a synthetic latex layer. We have to consider the Eight Sleep Jupiter+ alongside the Mars+. The Jupiter mattress uses the same synthetic latex up top, along with a layer of memory foam, and a support core of polyurethane foam. The Jupiter+ also comes with the sleep tracker, but costs $300 less than the Mars+ mattress. In our performance tests, we noticed subtle differences, but the Mars and Jupiter mattresses have more in common than they do differences, so check out our review of the Jupiter+ if you are considering the Mars+. It's tricky to assign a value to the Mars+ system with the Sleep Tracker since it's such a unique combination. If you are interested in using data to analyze and hopefully improve your sleep quality, then we do think it's a good value. Eight Sleep includes free delivery, which is not particularly unusual among its competitors. Eight Sleep offers buyers a 100-day trial period. Returns within the trial period are free, but you'll need to provide proof of donation or disposal. Eight Sleep will help you find a place to donate the mattress. Get the full return-policy details. Summary: Is the Eight Sleep Mars+ Mattress Right for You? Is the Eight Sleep Mars+ bed right for you? Take our Mattress Match Quiz to find mattresses that fit your needs, based on your preferences and price range. Looking for more on the Eight Sleep mattress? 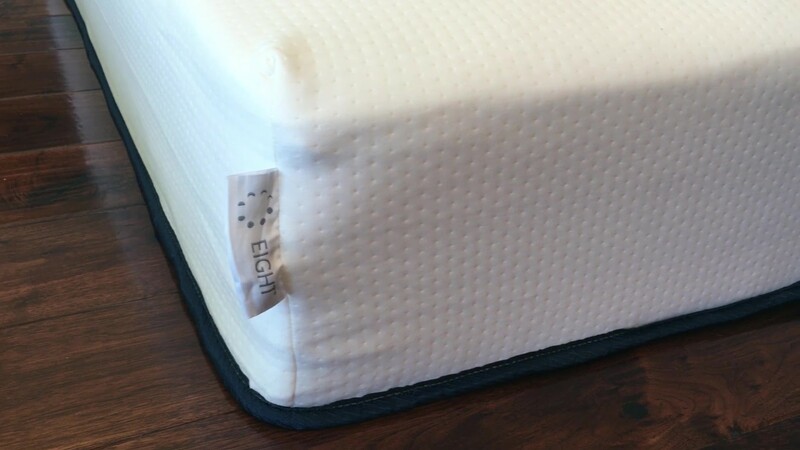 Visit EightSleep.com. This English-made all-foam mattress is a good value, but is the Eve bed right for you?